Technology delivered by the University of Canberra and Column 72 and employment in an IBM mainframe environment. Go to the registration page and upload your contact details. We will contact you and ask you to complete your online application. Your application will be reviewed. If you qualify, the University of Canberra will offer you advanced standing of eight units for the Bachelor of Information and Mainframe Technology. The degree will be completed at University of Canberra over three years with a combination of summer schools and online learning during the year. C72 conducts preliminary interviews with candidates in the July-August period. The employers, who are all IBM mainframe customers, will conduct selection interviews between August and October. Successful candidates start their first summer school on campus at UC on the first Monday of December. While you are completing your degree, you will work full time as a trainee for one of the IBM mainframe customers. You will receive a trainee salary and be given time off on full pay to attend summer school. Your employer will pay all university fees. You graduate from the trainee program with a Bachelor of Information and Mainframe Technology (BIMT) from the University of Canberra, a leading Australian university with no fee debt and three years of valuable work experience. Then you can continue and build your career at the high end of enterprise computing. The IBM® z14™ family of servers is now available in two form factors. The dual frame model provides unprecedented performance while the new single frame model delivers z14 capabilities in a 19-inch industry standard frame with a lower entry cost. The IBM Enterprise COBOL compiler supports the latest z/Architecture and helps your existing COBOL applications work with modern infrastructure technologies - mobile, web, and cloud - with native support for JSON, XML, and Java®. What is DB2 for z/OS? DB2® for z/OS® is a relational database management system that runs on the mainframe. This glossary defines technical terms and abbreviations used in the z/OS® Basic Skills Information Center. In the days before computer memory and storage devices, programs and data was held on punch cards. In 1928, IBM developed a card with 80 columns and 12 rows to run the electro-mechanical computational machines of the day. This card became the standard when the IBM 360 mainframe was introduced in 1964. The columns from 73 to 80 were for the card sequence number so, if you dropped the stack, they could be sorted back into order. Any non-blank character in column 72 indicated that the next card in the stack was a continuation of the present card. After graduation, Column 72 trainees will continue their career at the high end of enterprise computing. Column 72, is extremely proud and honoured to have been appointed IBM Champions for 2019. There are only 38 other IBM Champions for Z out of the total 635 globally across all IBM business areas. For the 2019 awards, there were nearly 2.000 worldwide applicants. The award is much-appreciated recognition for the expertise and continuing advocacy of IBM Z through Column 72. The partnership brings a unique learning offering of advanced tertiary education for IBM Z customers in Australia and New Zealand, according to Christy-Joy Schroeder, IBM Worldwide Offering Skills Manager. University of Canberra has partnered with Column 72, to develop the Bachelor of Information and Mainframe Technology. Aspiring IT professionals will be able to combine traditional university study with workplace learning. The University of Canberra requires one year of advanced standing for admission to the Bachelor of Information and Mainframe Technology degree (BIMT). Most candidates will come through one of the TAFE Colleges with a Diploma or Advanced Diploma in one of the IT streams. A smaller proportion will be students who have completed the first year of an IT degree at an Australian university. The University of Canberra is also prepared to consider graduates of foreign universities and those who do not have qualifications but would like to apply for Recognition of Prior Learning (RPL). TAFE is one of Australia’s hidden treasures for IT. The standard of education is high and the content of the courses is job-oriented. The graduates tend to be very practical and many have work experience. TAFE graduates make the transition to university and the complex mainframe environment with relative ease. Moreover, they are highly motivated. The Sponsoring Employers are IBM Z customer with application development and/or systems management delivered in-house. The Sponsoring Employer will select Trainees from candidates arranged by Column 72 and be prepared to engage them for the three years of the BIMT. Terms and conditions of employment including salaries are set by the Sponsoring Employer and not Column 72. The process of engaging Trainees starts with the Sponsoring Employer establishing the contractual relationship with Column 72. This is followed by an analysis of the skills requirement for the job, the provision of Candidate Profiles and the selection process by the Sponsoring Employer. The Profile consists of relevant documentation including the Column 72 interview results, Right to Work, AFP checks and conditional admission to the BIMT from the University of Canberra. The final condition for Admission is the Sponsoring Employer Letter offering the candidate a Traineeship. When the SEL is accepted by the candidate, the Trainee is ready for Summer School. Apart from the salary and the related benefits, the Sponsoring Employer is responsible for the full cost of the BIMT fees. The Sponsoring Employer also pays for transportation and accommodation while the Trainee is at Summer School. The timing is critical. By November 1, Column 72 must provide the University of Canberra the final list of Trainees who will start the BIMT Summer School. 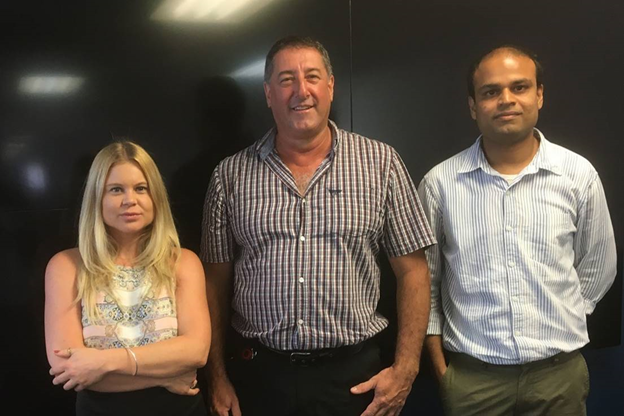 A collaboration between the University of Canberra and Column 72, the Mainframe Trainee Program is creating a new generation of mainframe experts for the platform crucial to the world’s transactions, and rejuvenating the whole industry. “Fresh blood and new ideas are always beneficial to any organisation, and are crucial to driving the industry,” said Scott Thomson, Senior Director Data Centre Services at the Northern Territory Government’s Department of Corporate & Information Services (DCIS). DCIS is one of the partner employers of the Mainframe Trainee Program, which sees successful trainees graduate with a Bachelor of Information and Mainframe Technology. The three-year program helps trainees to learn both the technical and programming aspects of IBM Z®, the world’s most advanced and entrenched mainframe platform system. In recognition of the initiative, Column 72 directors Paul Matthews and Dr Murray Woods were recently named on the IBM Champions 2019 list, joining an exclusive list of only 40 IBM Champions for Z globally. Because of mainframes’ speed, security capabilities and ability to scale, everyday transactions around the world, from government to the banking industry happen seamlessly. “I’d say about 95% of the world’s transactions go through a mainframe,” Mr Thomson said. In spite of this, a vacuum has opened up in the industry, as IT professionals skilled in working with mainframes becoming part of an ageing population. The paid program embeds trainees in workplaces from the very start. They learn about the platform and technology, and integrate with company philosophy and core values as well. “We are better able to build relationships with them – the work force in our industry is very mobile nowadays, so this is particularly important in terms of retention,” Mr Thomson said. Wazid Ali Khan Pathan is an MTP trainee systems programmer and mainframer with DCIS, and he’s finding the experience invaluable. “I get to work with experts in so many areas, which gives me a great overview of the big picture and allows me to develop multiple skills,” he said. For fellow trainee and colleague Elina Woolley, the program has helped to build her confidence in an industry still dominated by men – and allowed her to tap into a niche in a highly specialised area. The industry is constantly evolving, Mr Pathan says. IBM has consistently worked on compatibility, pervasive encryption, cloud computing and data analytics, among others. Click here for more information on the University of Canberra and Column 72 Mainframe Trainee Program. The three-year program, delivered with education partner Column 72, exposes trainees to the technical and programming aspects of IBM Z (nee zSeries, nee System 360). When the revival of the Mainframe Trainee Program (MTP) was announced in July last year, federal government agencies and banks breathed big sighs of relief at the prospect of a bigger talent pool to keep the machines that refuse to die running. Senior director of Data Centre Services, Scott Thomson, said MTP is crucial to bringing “fresh blood and new ideas” into the field, which are “always beneficial to any organisation, and are crucial to driving the industry”. 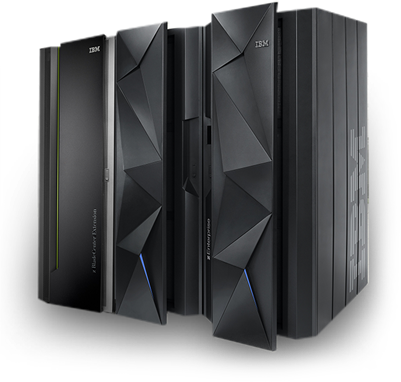 That’s backed up by IBM’s earnings reports, where it was revealed mainframe sales doubled in the quarter to July last year, part of a continued upward trend. “So it is vital that we grow our specialised mainframe skills resources, especially internally,” Thomson said. Aiding retention is the promise of a job with an “attractive” salary to MTP members once they graduate with a Bachelor of Information and Mainframe Technology. For instance, some of the federal government’s biggest IBM mainframe users include Centrelink, Medicare, Home Affairs, Defence and the Australian Taxation Office which often need to obtain security clearances for computing staff working on their systems. Outside of the public sector, banks like Westpac have stuck with IBM through various ups and downs over the year. When the revived MTP was announced in July, it was understood Human Services and Westpac would be two of the initial destinations for the mainframe grads. 21 March 2019: A collaboration between the University of Canberra and Column 72, the Mainframe Trainee Program is creating a new generation of mainframe experts, while also rejuvenating the entire industry. The three-year program helps trainees to learn both the technical and programming aspects of IBM Z ® the world’s most advanced and entrenched mainframe platform system. Directors of the innovative program, Paul Matthews and Dr Murray Woods from Column 72 were recently named on the IBM Champions 2019 list, in recognition of the initiative, joining an exclusive list of only 40 IBM Champions for Z globally. It’s these invisible systems that keep the transactional world, as we know it, moving. Because of mainframes’ speed, security capabilities and ability to scale, everyday transactions around the world, from government to the banking industry happen seamlessly. In spite of this, a vacuum has opened up in the industry. IT professionals skilled in working with mainframes have become part of an ageing population, with few successors ready to carry on the work. Until now. “There has been a lack of universities supporting such mainframe programs, because they’re seen as dinosaurs. That couldn’t be further from the truth – mainframes have been around for about 50 years now, and they’re only going to be increasingly used,” Mr Thomson said. The paid program embeds trainees in workplaces from the very start, a win-win arrangement for both employers and trainees. Mr Thomson interviewed all the applicants himself. “We were able to select those that shared the values of the company, and get them onboard before they were really far into the program,” he said. They are able to learn about not just the platform and technology, but integrate with company philosophy and core values as well. “And we are better able to build relationships with them – the work force in our industry is very mobile nowadays, so this is particularly important in terms of retention,” Mr Thomson said. Wazid Ali Khan Pathan is an MTP trainee systems programmer and mainframer with DCIS. At 34, he’s the youngest in his department, and is finding the opportunity to learn from senior professionals to be quite invaluable. “When I first joined the company, the senior programmer mentioned that there was over 100 years of experience around the table,” he said. For fellow trainee and colleague Elina Woolley, the program has helped to build her confidence in an industry still dominated by men – and allowed her to tap into a niche in this highly specialised area. “The more I’ve learned about mainframes, the more I have realised how relevant they are to our everyday lives,” she said. “It’s constantly surprising to me that there are people who think they’re not going to be around much longer. If mainframes stopped working, the world as we know it would also cease to function,” she said. At the same time, the industry is constantly evolving, says Mr Pathan. IBM has consistently worked on compatibility, pervasive encryption, cloud computing and data analytics, among others. Mainframes aren’t just our present. They’re also our future.